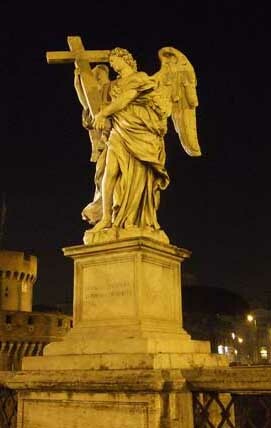 Are you coming to Rome with someone special, or perhaps even planning a romantic wedding proposal in the Eternal City? Whether you're visiting Rome for a honeymoon, Valentine's weekend or a surprise birthday trip, you may be searching for the most romantic restaurants, strolls and places to enjoy with someone special. Based on our knowledge of the city and suggestions from romantically-minded friends, we've compiled some suggestions for that special ramble or the ideal spot to go down on one knee. Rome has scores of beautiful romantic lanes, restaurants and parks. However, lovers may find that crowds can be off-putting, and the tourist industry leads them away from the quainter local corners. Try escaping the crowds down the small medieval lanes leading from the busy squares - around both Campo de' Fiori and Piazza Navona there are plenty of pretty corners where you can escape the worst of the crowds. Wandering along these lanes arm-in-arm is a romantic experience in itself, but you could add to the moment by visiting some of the smaller bars and restaurants you'll find here, catering for locals as well as tourists. > Between the top of the Spanish Steps and the Pincio (above Piazza del Popolo). Although this short walk is along a road, it's quite quiet, with some stretches of wall where you can sit and enjoy a lovely view over Rome's rooftops. There's also a terrace-restaurant where you can enjoy a drink or a meal. > The Aventine hill is a quirky and different district, with two pleasant parks well-equipped with views towards St Peter's, benches, orange trees etc. You can also enjoy the memorable view through a keyhole, or visit Rome's public rose garden (see below). Flowers (fiori) bloom throughout Rome on roof terraces and in parks. You won't be able to avoid the pedlars selling red roses throughout the city's restaurants and streets every evening. Clutching a single rose stem while wandering over moonlit bridges may be an unmissable scenario for visitors - but bear in mind that these roses are unlikely to live until morning. If you feel unromantic at turning this offer down, console yourself with the knowledge that you'll find you get a better deal and more interesting blooms at a flower stall or market - one very good flower stall is conveniently located in Campo de' Fiori. Two of the best chocolate shops in Rome are in La Bottega del Cioccolata in Rione Monti (Via Leonina), which sells chocolates, sweets, and (winter-only) souvenirs like a chocolate Colosseum, and Valzani in Trastevere (Via del Moro), an old-fashioned paradise of pastries and chocolate. The Tiber these days isn't as romantic as it was when Audrey Hepburn and Gregory Peck partied on a boat. 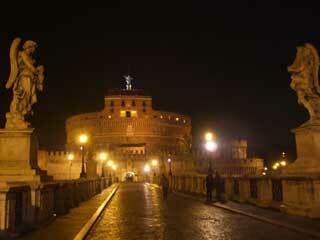 The most attractive bridge is probably Ponte Sant'Angelo, in front of Castel Sant'Angelo. However, it is usually lined with illegal salesmen hawking shoddy knock-off goods. A more romantic alternative is Ponte Sisto, a charming footbridge leading to Trastevere (although there are occasionally young beggars nearby). The Tiber Island (Isola Tiberina) is also fairly romantic - lovers can wander over the attractive bridge leading towards the river bank close to the Mouth of Truth, or do a circuit of the island itself. The banks of the Tiber aren't very appealing to wander along, apart from in the summer months, when you find small markets, music stages, bars and food stalls set up along the footpaths. Your most romantic option is to find a little trattoria down a medieval lane that will be your discovery and 'your' place to revisit on your trips to Rome. This will be far more special than following a guidebook's advice along with scores of other tourists. As long as you avoid the most obvious tourist traps (places with plastic photos of the meals, restaurants around Via Nazionale or Termini), you shouldn't go badly wrong with the quality of food. A nice area for small restaurants is in the Trastevere lanes close to the river, south of Viale Trastevere. Our favourite is Da Carlone (Via della Luce 5-7) , but why not select your own favourite from the many options available? For more eating suggestions, visit our Rome restaurants page. For an unusual and headily-romantic evening out in the summer months, take your beloved to the Roseto, Rome's public rose garden. In the evenings you can dine, drink, wander through the roses, enjoy views over the ruined Palatine, or enjoy food tastings and talks (in Italian). 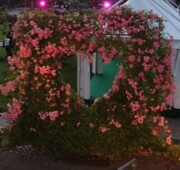 Alternatively in the daytime entrance is free and there are great romantic photo opportunities, alongside dreamy pink roses or by heart-shaped topiary. Read more. During July and August parks and gardens around Rome host musical evenings catering to all tastes. Whether you'd rather listen to Verdi at the Baths of Caracalla, pop concerts on a tennis court, or free classical concerts in piazzas, Rome is packed with events every night. Buy the magazine Roma C'è for up-to-date listings, or see our Summer in Rome page for more ideas.